I never used to pay much attention to home furnishings and Christmas ornaments always comprised of digging out existing pieces and buying the obligatory limited edition Swarovski Christmas star for my mom every year. However, now that I've moved out, I find myself noticing more and more knick knacks and things that I want to buy for my place. 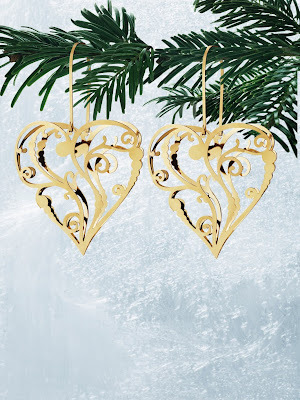 Such as these gorgeous Christmas ornaments from Georg Jensen... problem is, my apartment is so small that I don't think we can have a tree (I have this thing where I only want a real tree.) So what to do? Think I can just buy this and wear them as huge pendants? And by the way.. how on earth did Christmas roll along so quickly this year?